Today people think that women are liberated in the West and that the Women’s liberation movement began in the 20th century.Actually, the women’s liberation movement was not begun by women, but was revealed by God to a man in the seventh century by the name of Muhammad, may the mercy and blessings of God be upon him, the last Prophet of God.The Quran and the Sunnah of the Prophet are the sources from which every Muslim woman derives her rights and duties. 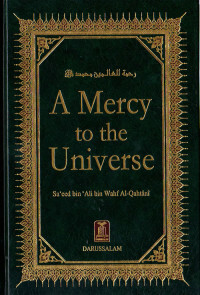 Prophet Muhammad, may the mercy and blessings ofGod be upon him, is the man beloved by more than 1.2 billion Muslims.He is the man who taught us patience in the face of adversity, and taught us to live in this world but seek eternal life in the hereafter.It was to Prophet Muhammad that God revealedthe Quran.Along with this Book of guidance God sent Prophet Muhammad, whose behavior and high moral standards are an example to us all.Prophet Muhammad’s life was the Quran.He understood it, he loved it and he lived his life based on its standards. 1)"Islam" means "surrender" or "submission". "Salam" (which means "peace") is the root word of "Islam". In the religious context, the word "Islam" means "the surrendering of one's will (without compulsion) to the will of God in an effort to achieve peace". 2)"Muslim" means "anyone that surrenders himself/herself to the will of God. "3)Islam is not a new religion or cult. It is a universal way of life and civilization. Studies show that between 1.5 and 1.8 billion people in the world identify their religion as Islam. Along with Judaism and Christianity it traces its roots through Prophet Abraham and back to the first humans Adam and Eve. · The Prophet, sallallaahu `alayhi wa sallam ( may Allah exalt his mention ), would teach his wives to deal fairly and justly: The Prophet, sallallaahu `alayhi wa sallam ( may Allah exalt his mention ),set a practical example in this issue, just he did in all the other values that he encouraged. This is demonstrated by his justice between his wives. Whenever he, sallallaahu `alayhi wa sallam ( may Allah exalt his mention ) intended to go out on a journey, he, sallallaahu `alayhi wa sallam ( may Allah exalt his mention ), would draw lots between them to see who among them would accompany him on the trip. This was narrated by his wife `Aa’ishah, may Allah be pleased with her. [Al-Bukhari and Muslim] His, sallallaahu `alayhi wa sallam ( may Allah exalt his mention ), dealing with them justly would certainly have been a more influential in instilling the quality of justice in them. The family in general and the wife in particular is a precious trust and great responsibility that a Muslim must shoulder and never neglect. In this matter, just like in all others, the Prophet, sallallaahu `alayhi wa sallam ( may Allah exalt his mention ), is an example for all husbands in the way he treated and nurtured his wives. 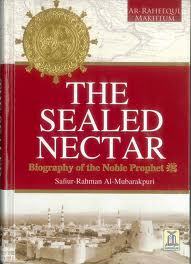 What did the Prophet, sallallaahu `alayhi wa sallam ( may Allah exalt his mention ), do with regard to nurturing his wives? How did he, sallallaahu `alayhi wa sallam ( may Allah exalt his mention ),, educate them, enjoin them to do good and forbid them from doing evil? What was his manner and method in talking to them and being kind to them? These questions are answered below. Allah's Messenger sallallaahu `alayhi wa sallam ( may Allah exalt his mention ) was the kindest of men in the same way as he excelled all others in courage and valour. Being extremely kind-hearted, his eyes brimmed with tears at the slightest sign of inhumanity. A Companion, Shaddaad bin 'Aws, may Allah be pleased with him, reported the Apostle as saying: “Allah has commanded you to show kindness to everyone, so if you have to kill, kill in a good manner, and if you slaughter an animal, slaughter it gently.